This book, edited by two leading scholars in the field, Michal Galas, head of the Marcell and Maria Roth Center for the History and Culture of Polish Jews and Polish-Jewish Relations at the Jagiellonian University, and Shoshana Ronen of the University of Warsaw, contains articles by major scholars from Poland, Israel and Germany on different aspects of Thon's life. (...) Among the topics covered in this comprehensive volume are the intellectual background in Lviv in which Thon grew up, the concept of Jewish identity reflected in his early works and his cooperation with his friend, Marcus Braude, in advancing Jewish education in Poland. Thon's role in local government and in supporting the arts in Krakow are also discussed, as are aspects of his philosophical thought, including his understanding of the work of the British philosopher Herbert Spencer and of the German-Jewish sociologist Georg Simmel. 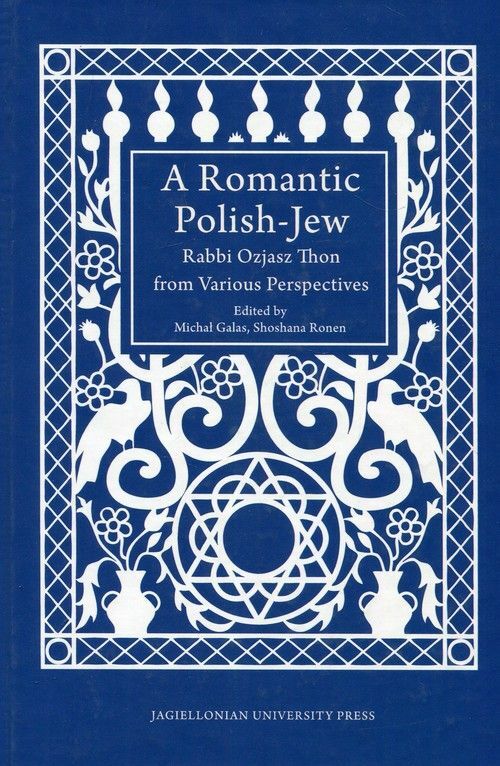 Other articles describe the religious life of Krakow's 'progressive' Jews and the character of Thon's preaching. Thon's interest in the development of Hebrew literature is extensively analyzed as is his journalistic oeuvre. The volume concludes with a moving account of Thon's funeral in Krakow in November 1936. (...) Unusually for a collection of this type, the different essays hang very well together and make a coherent whole. This is a major study of a neglected figure with contributions from the foremost scholars in the field.